Her passion in this area was inspired by a family member with Type 1 Diabetes. 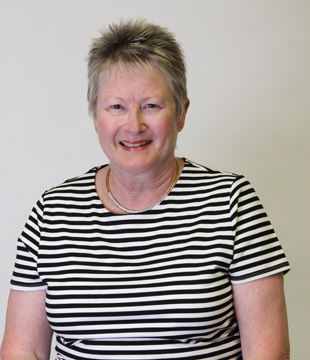 While Maggie specializes in adult education, she has vast knowledge and experience as a 40 year veteran in nursing. Prior to joining Jewish Family Service, Maggie worked primarily in the emergency services at Shore Memorial hospital, and practiced as a diabetic educator in the outpatient setting. She has held certifications in Emergency Nursing & Trauma Nursing, Advanced Life-Support for Cardiac Care as well as Pediatrics and Neonatal Care. Maggie is a member of the American Diabetes Association, American Association of Diabetes Educators and holds an American Heart Association healthcare provider card. A graduate of Stockton State College and a long-time local, Maggie resides with her husband in Somers Point.